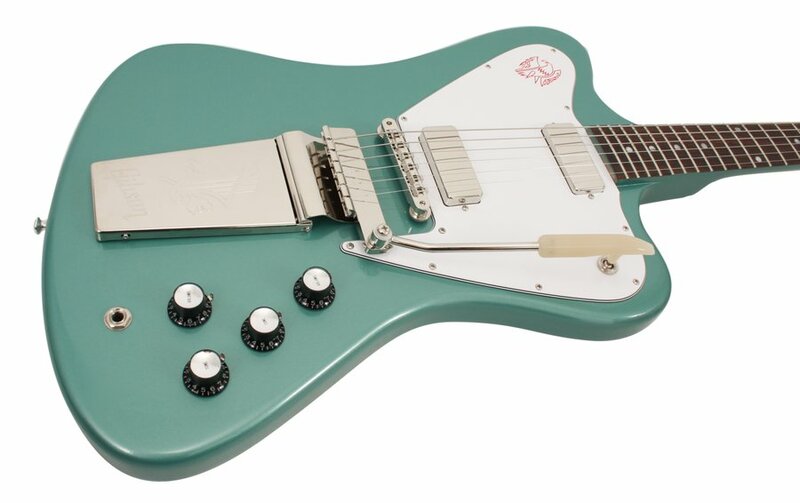 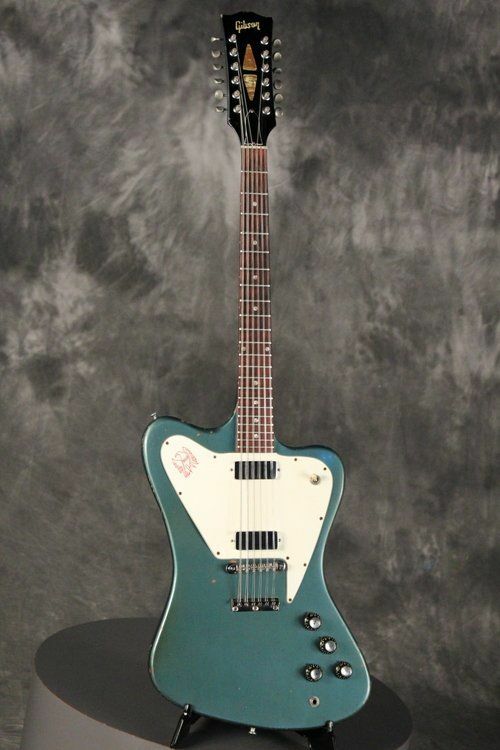 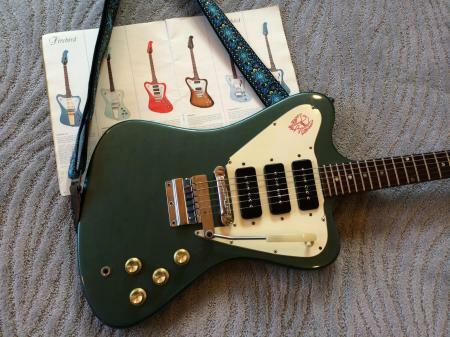 Inverness Green 1964 Firebird I . 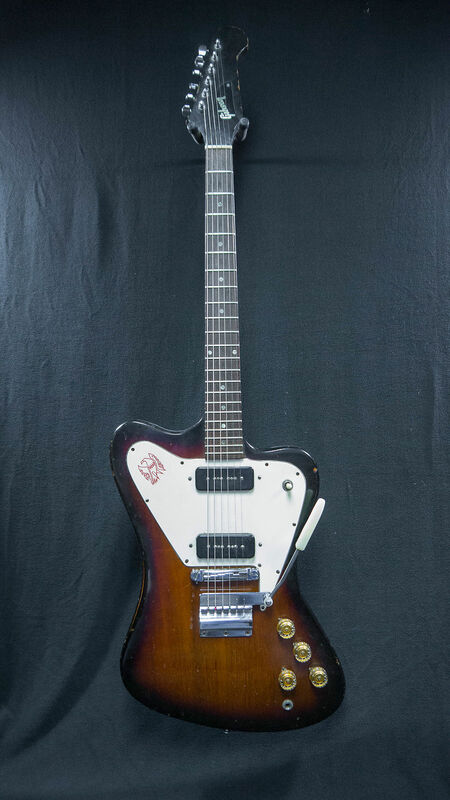 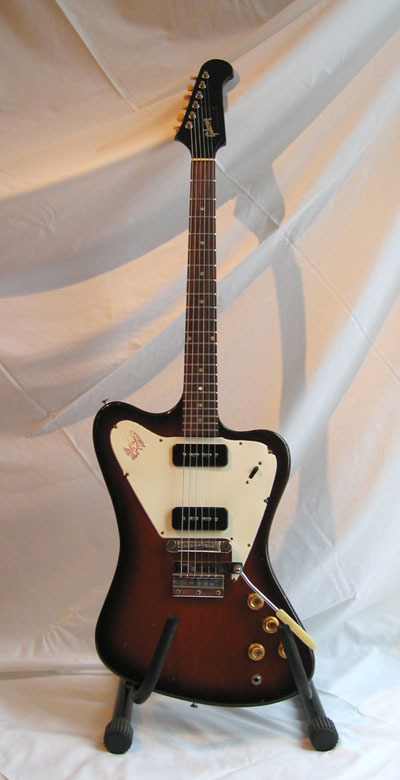 1965 Aztec Bronze III. 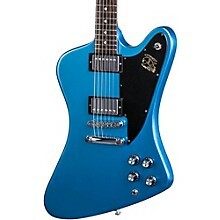 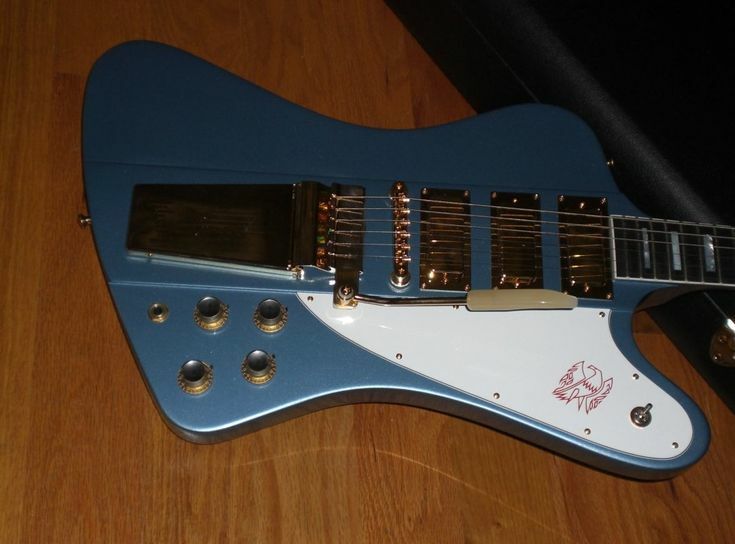 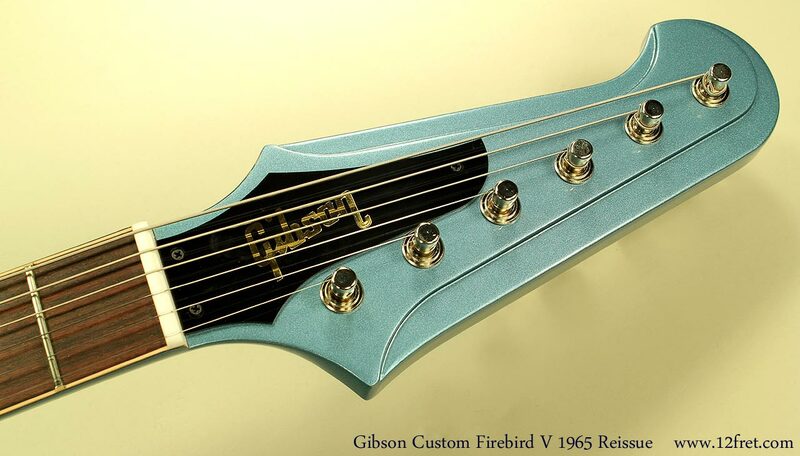 1968 Gibson Firebird I "Non-Reverse"
1965 Gibson FIREBIRD XII 12 string in PELHAM BLUE. 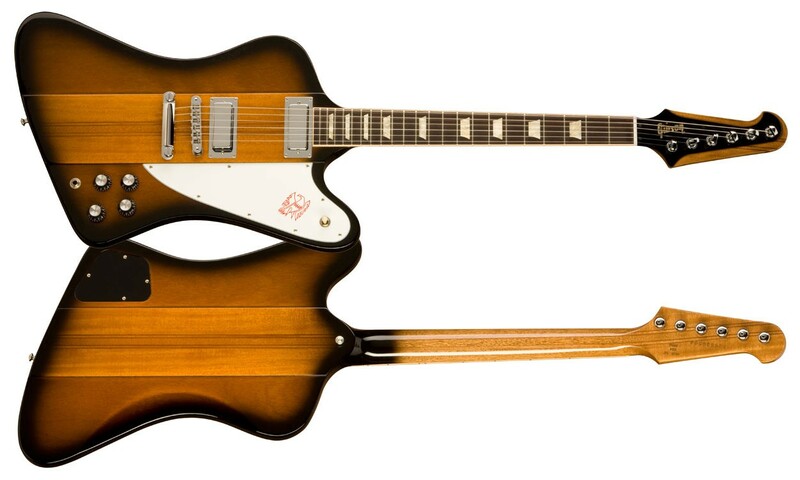 I am having a hard time with the fact that this exists and I don't own it. 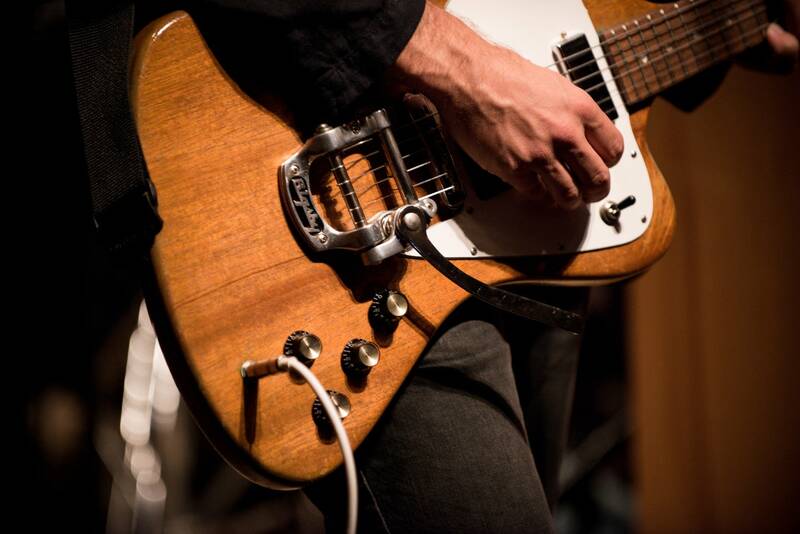 Photo By Susanna Radaelli, Guitar Courtesy Of Voltage Guitars. 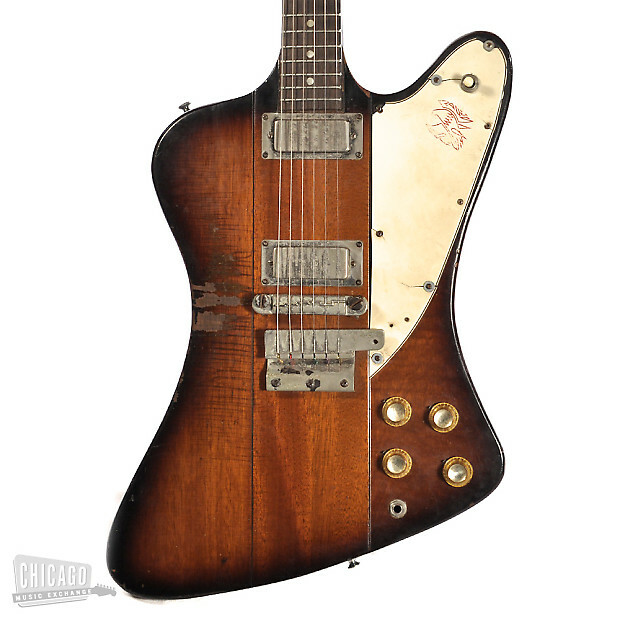 Call the number at the top of the page or use the contact form on the right to speak to me personally about this 1966 Gibson Firebird III. 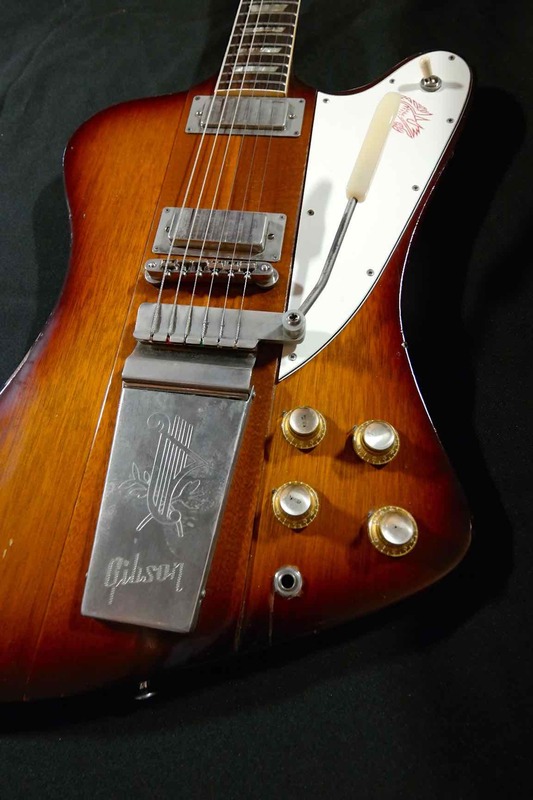 The early days of electric guitar manufacturing were exciting times: Fender and Gibson went head to head, developing new models to compete with one another. 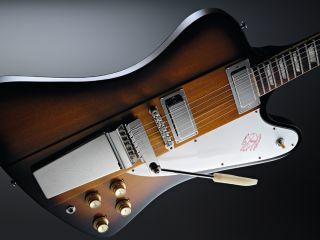 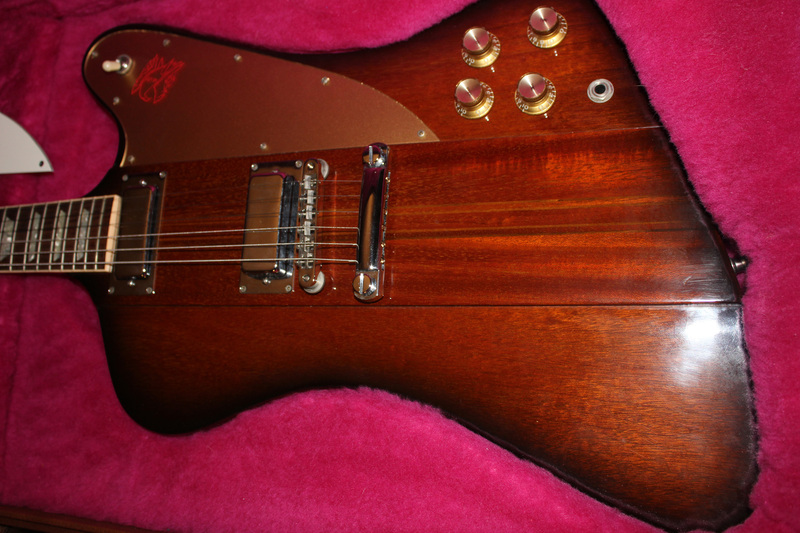 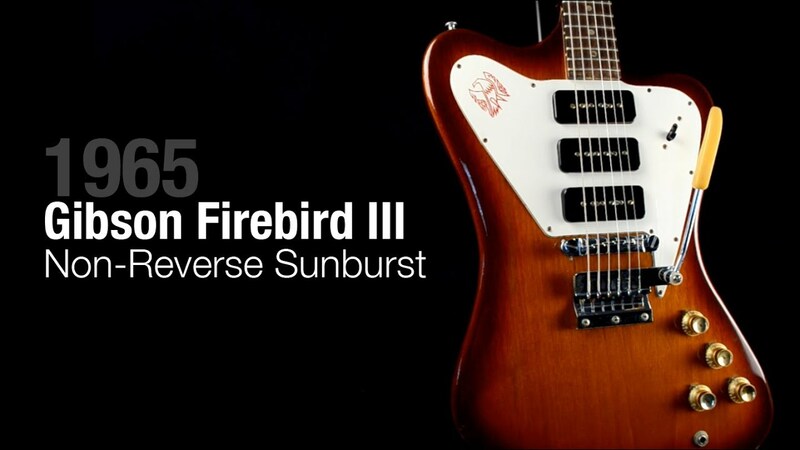 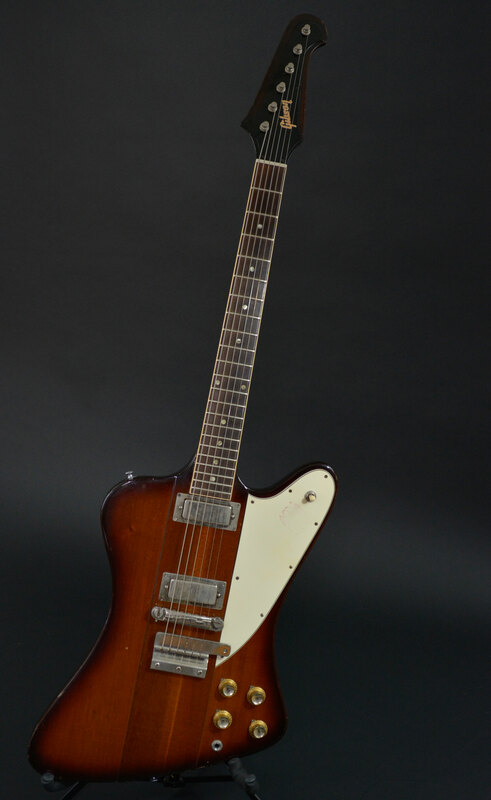 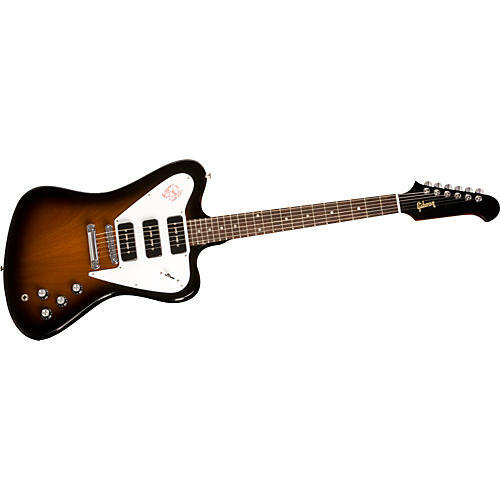 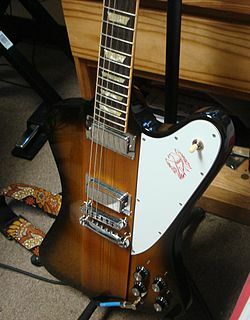 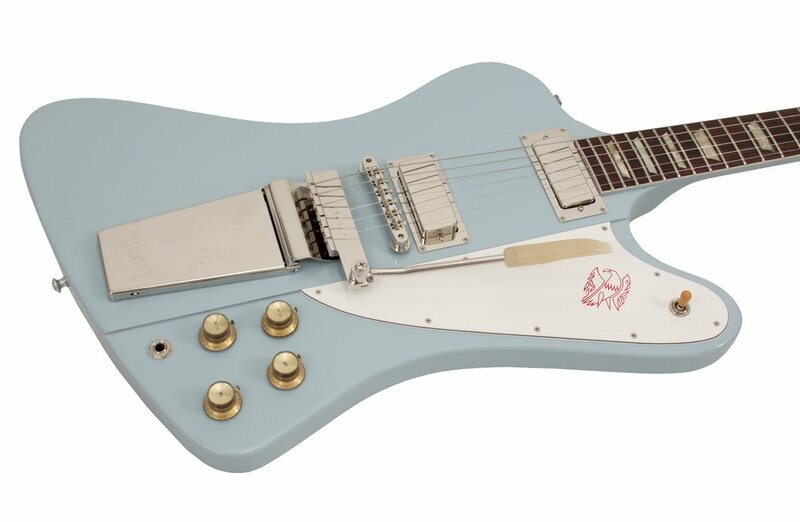 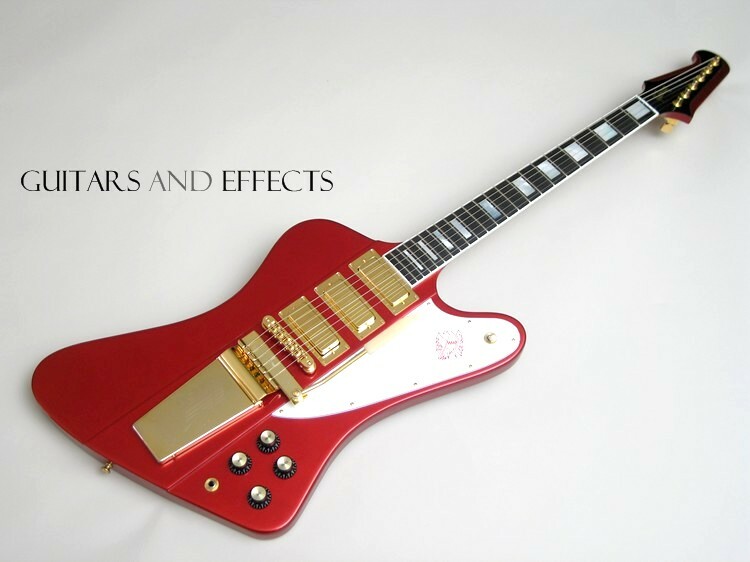 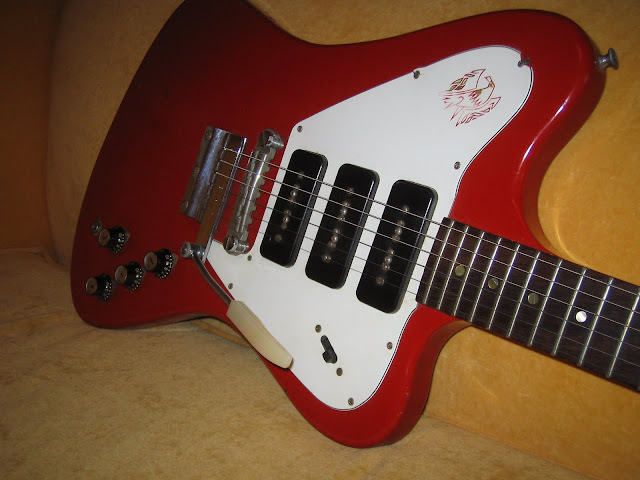 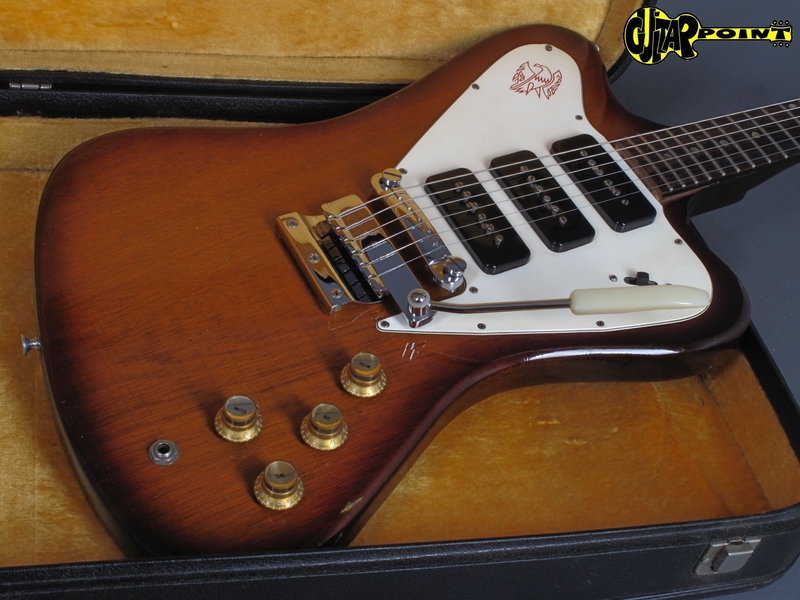 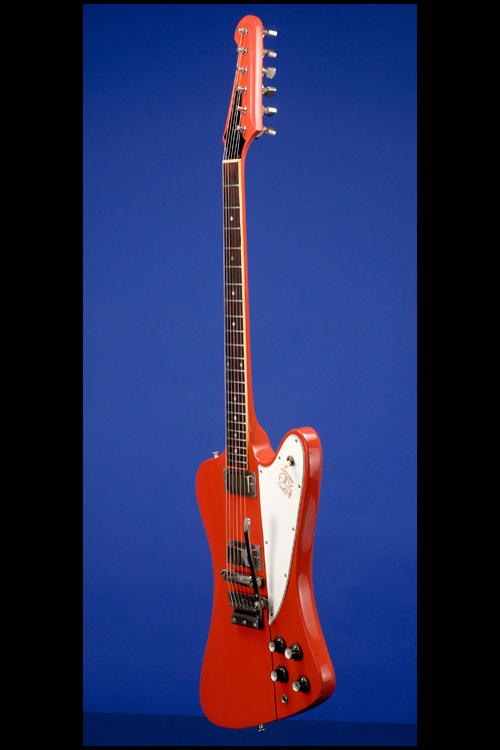 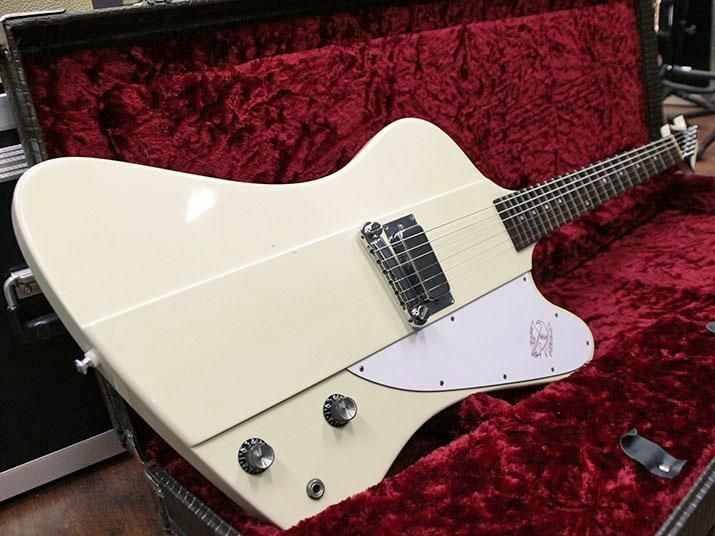 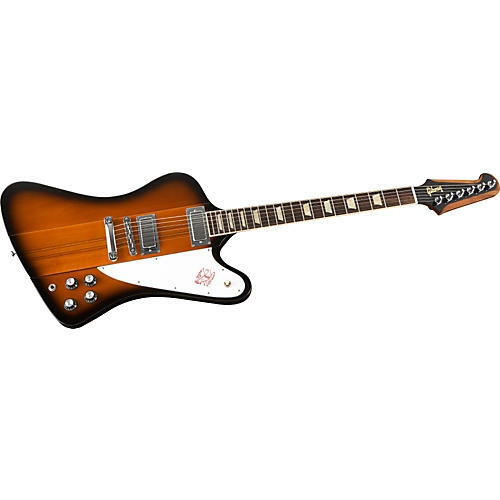 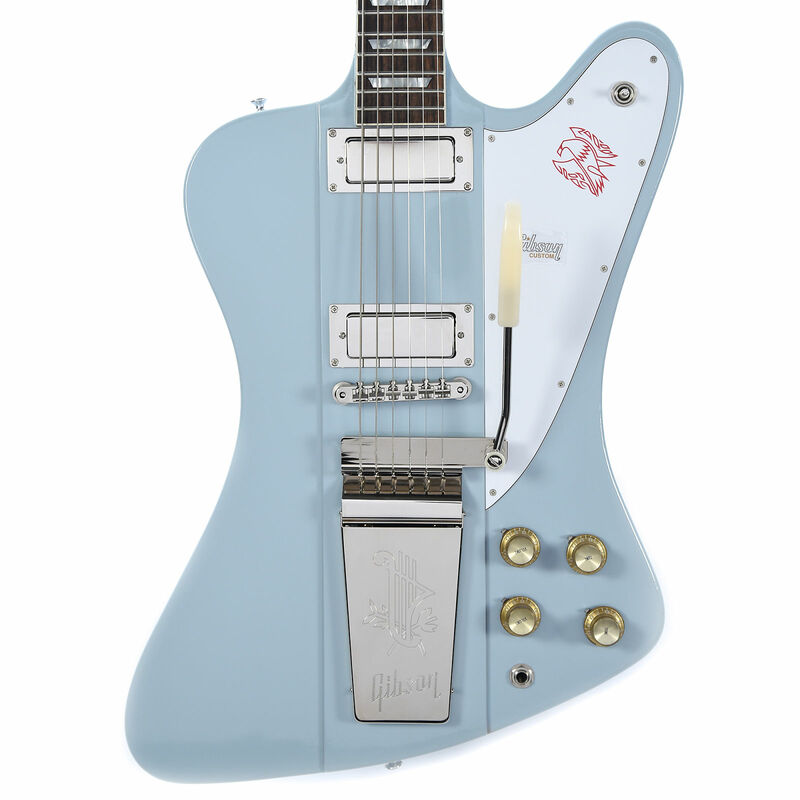 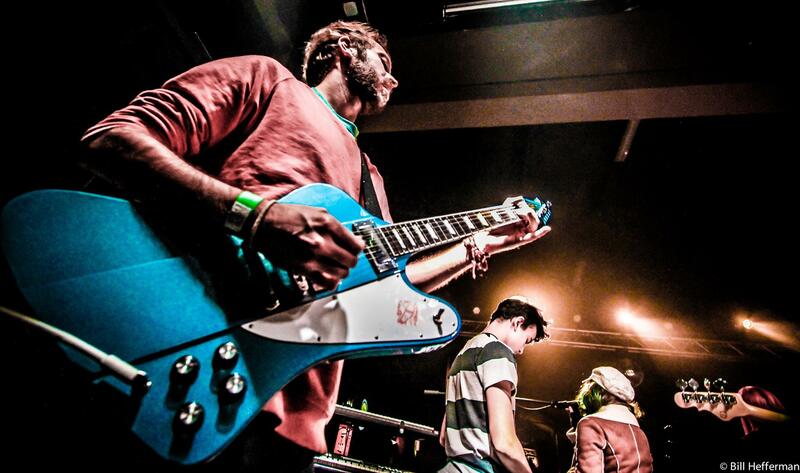 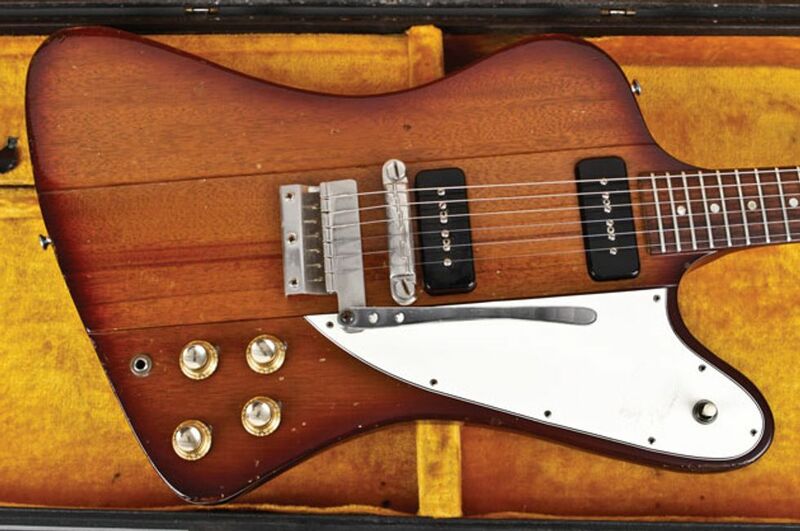 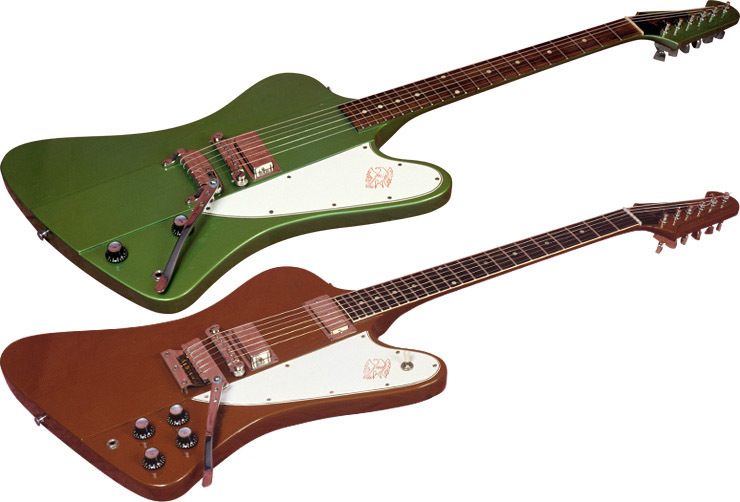 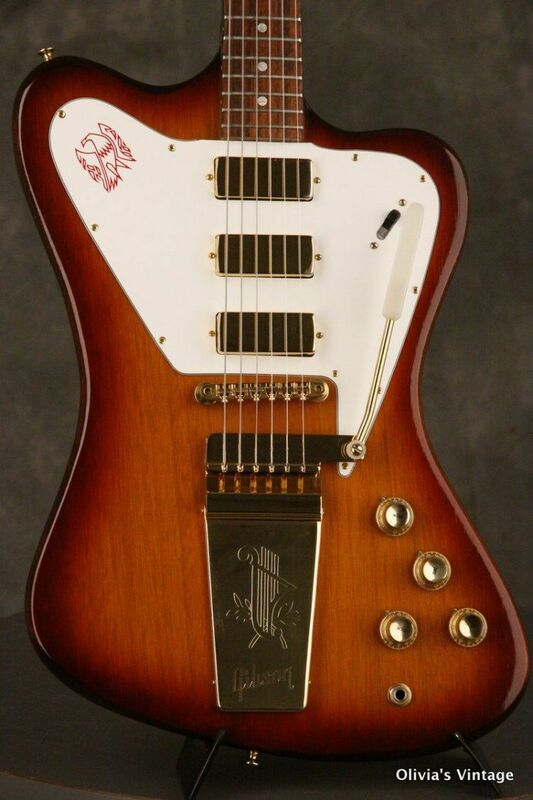 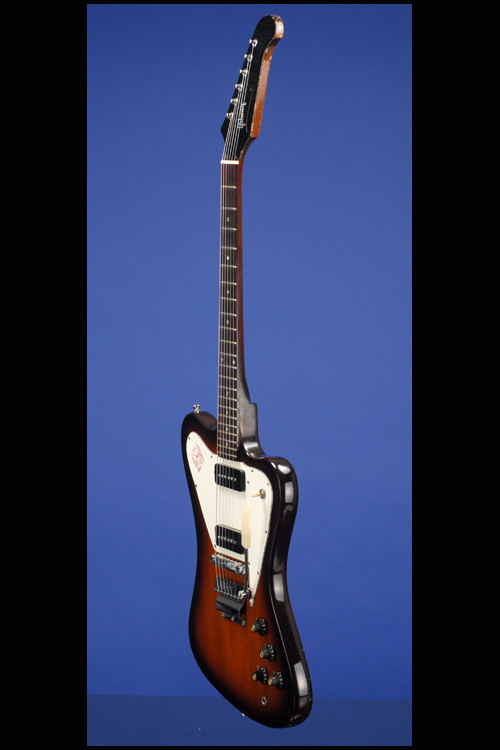 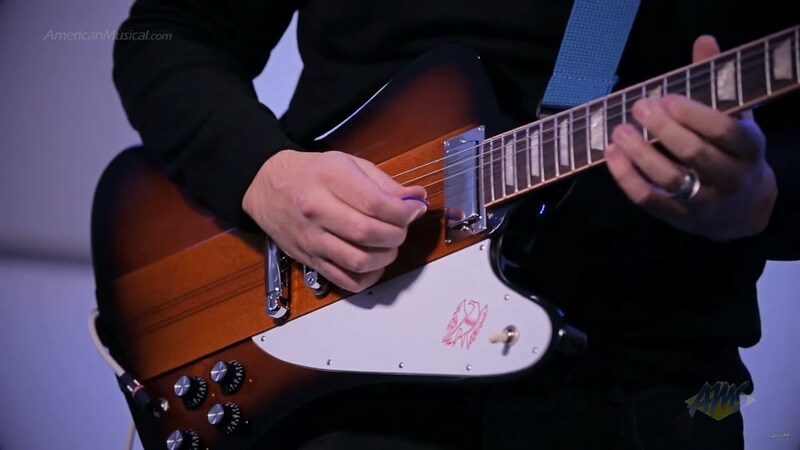 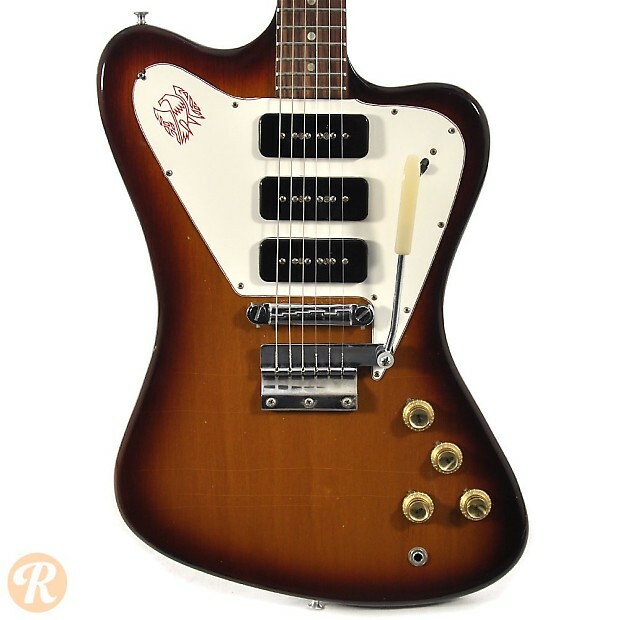 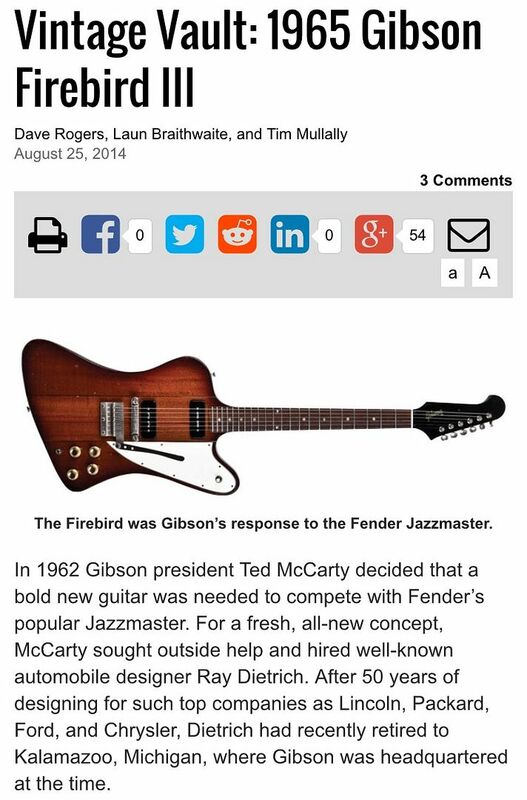 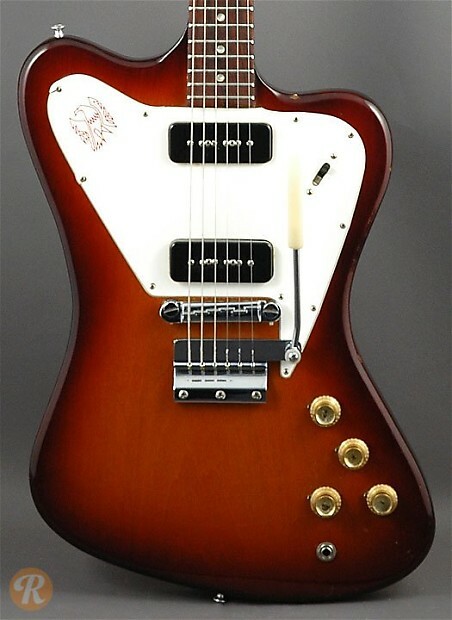 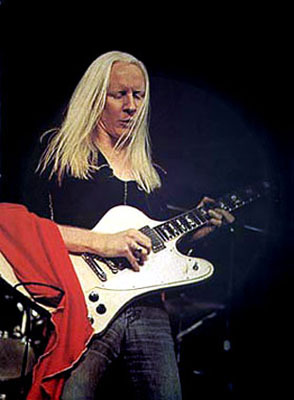 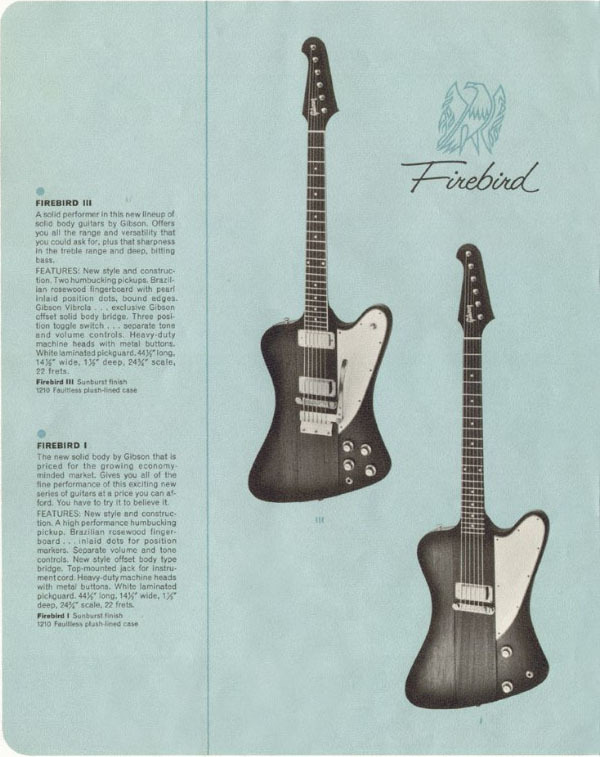 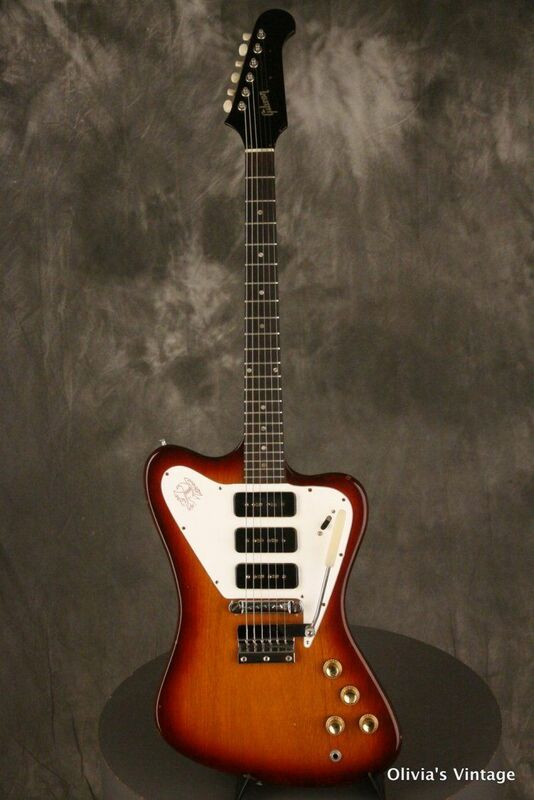 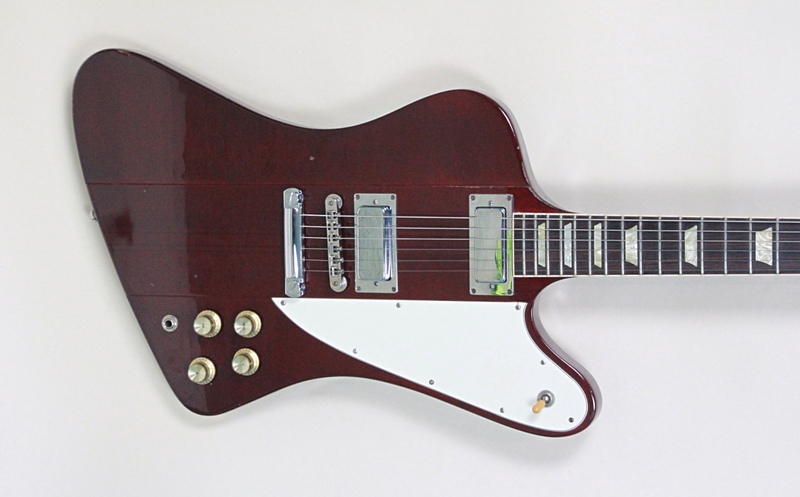 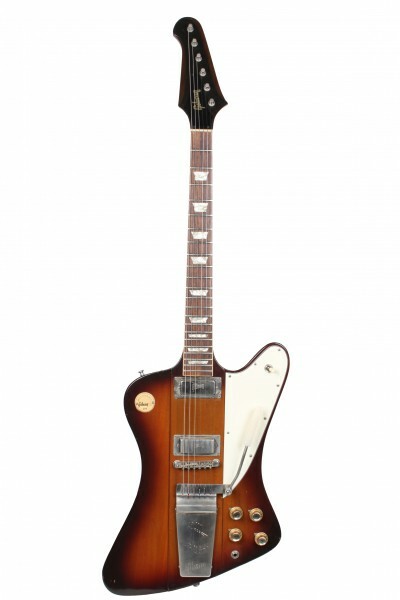 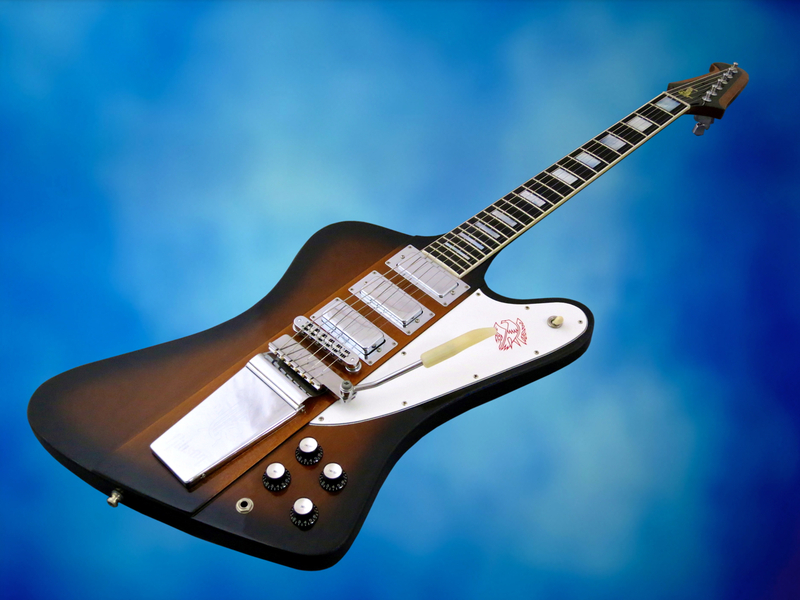 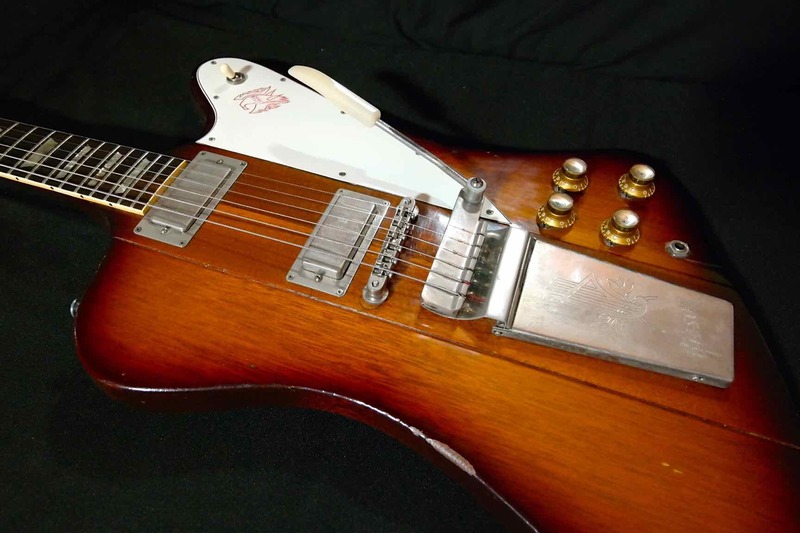 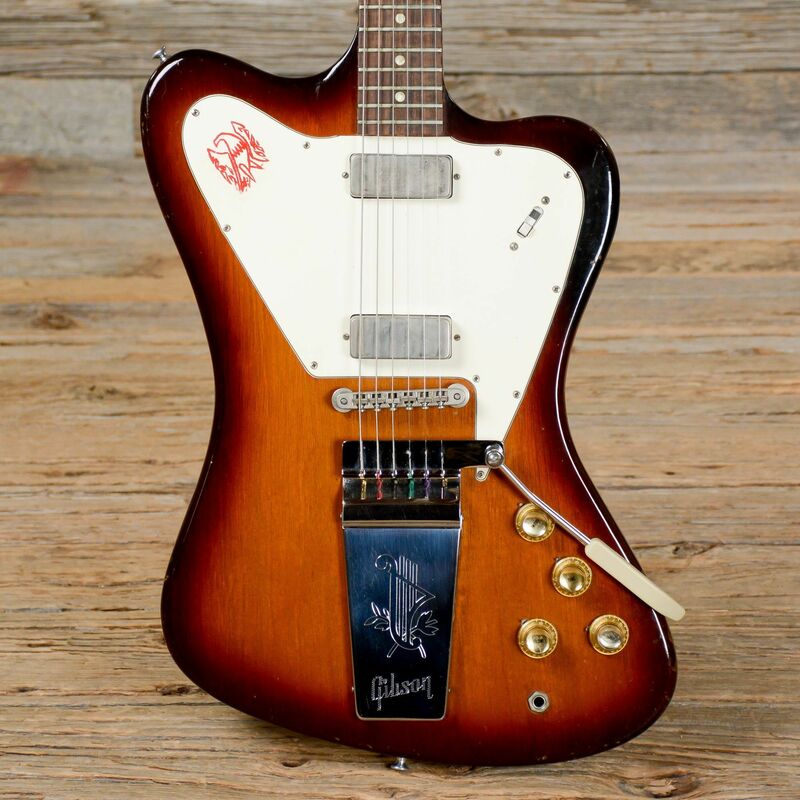 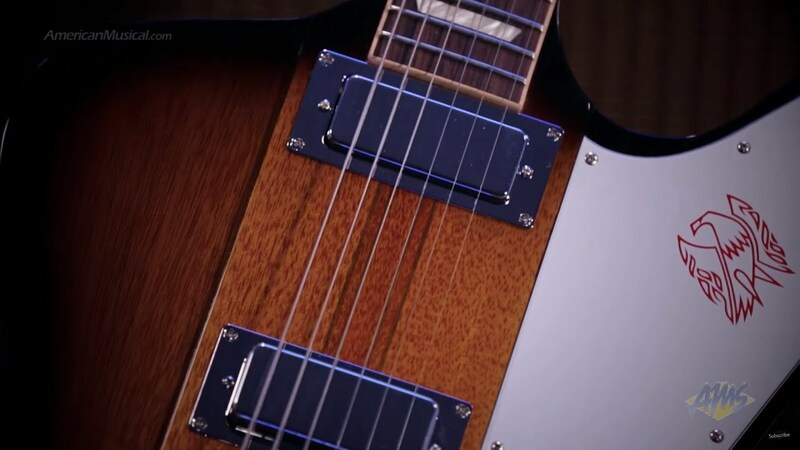 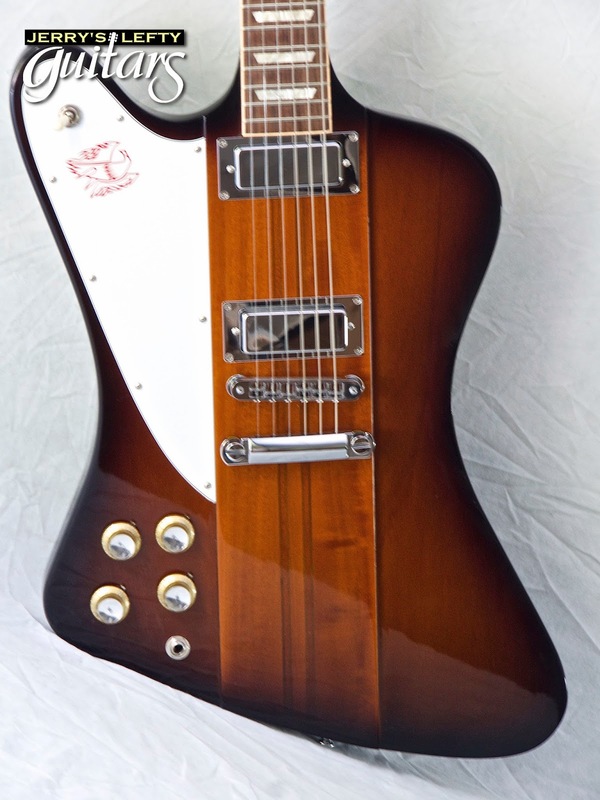 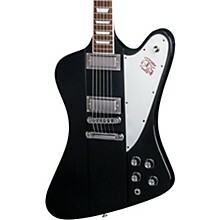 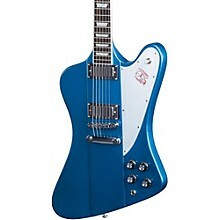 The Firebird was Gibson's response to the Fender Jazzmaster. 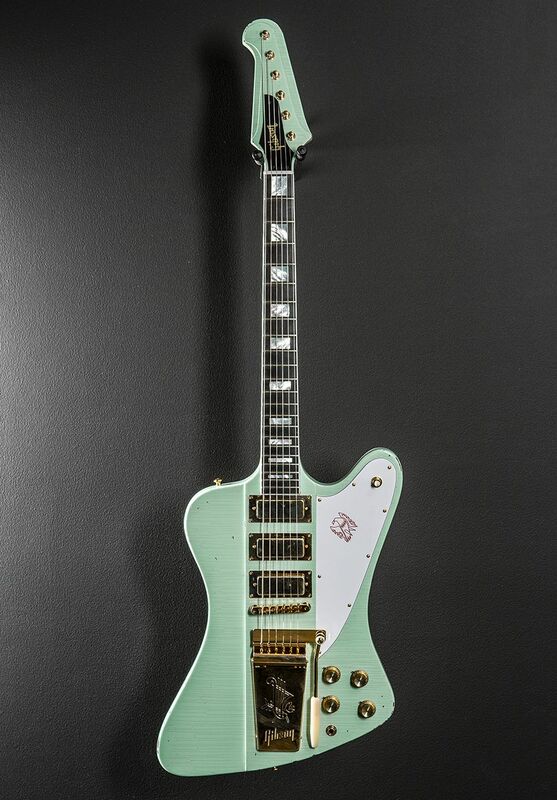 Now that is one seriously good looking 'bird. 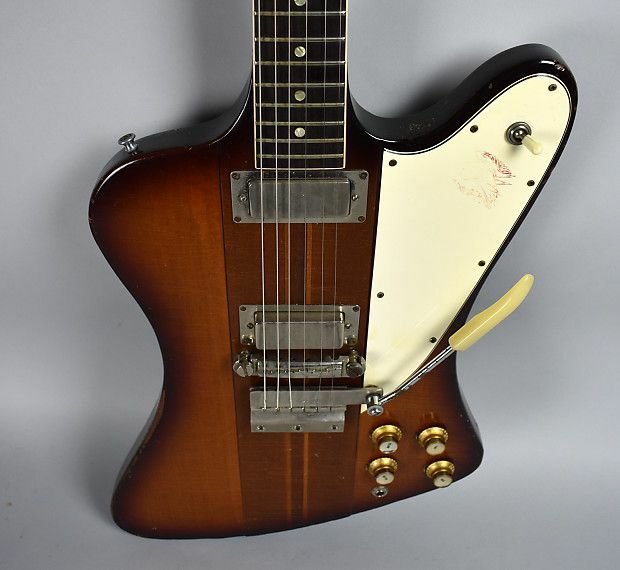 Since I've been running this site, the most common theme I see is how we connect guitars to memories of our past, and our families. 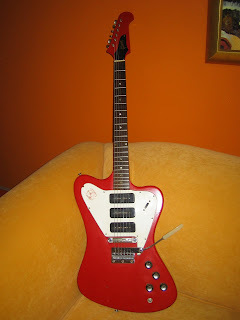 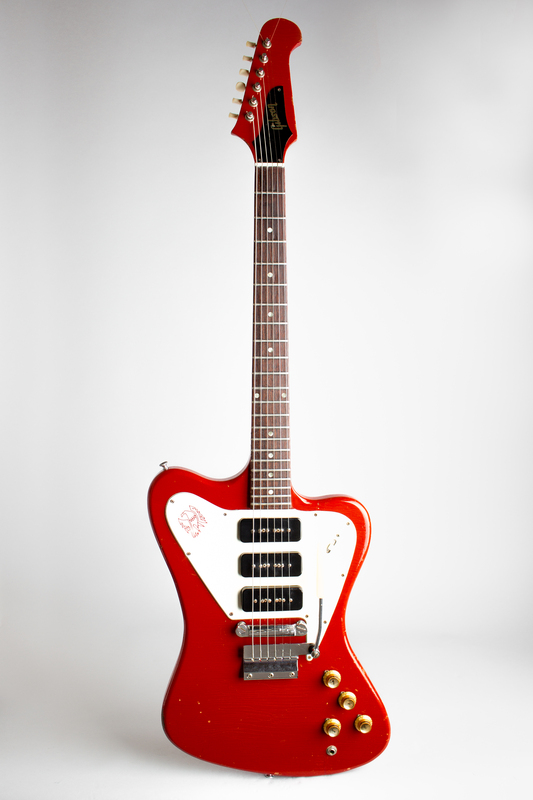 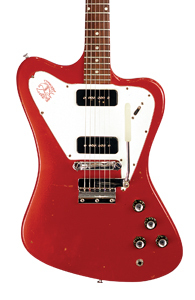 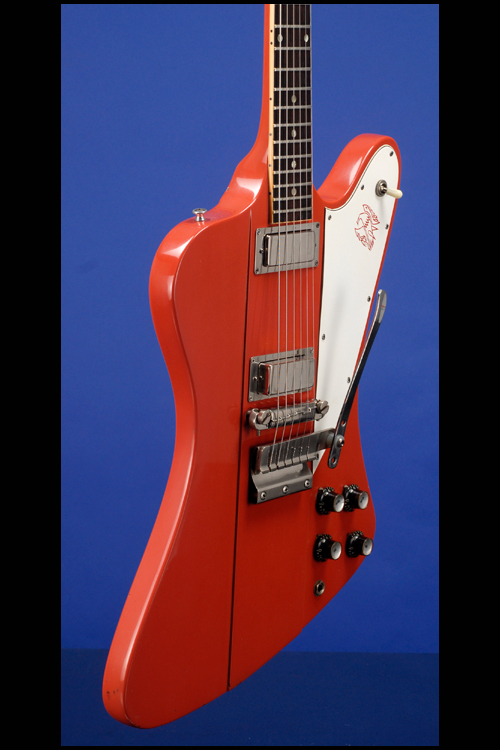 '64 Firebird VII in Cardinal Red. 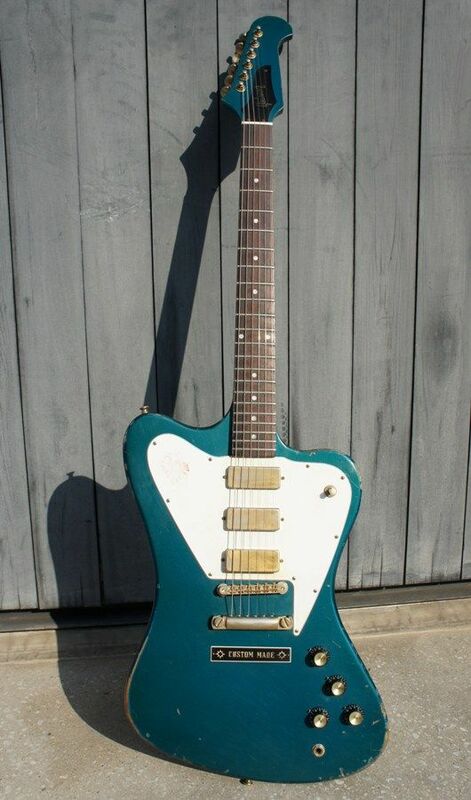 '64 Firebird I in (aged) Inverness Green. 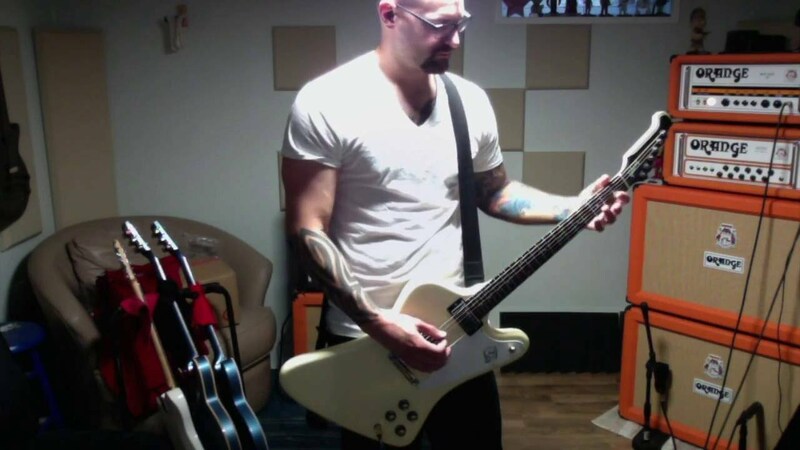 Light weight and the P90's really bring it to life. 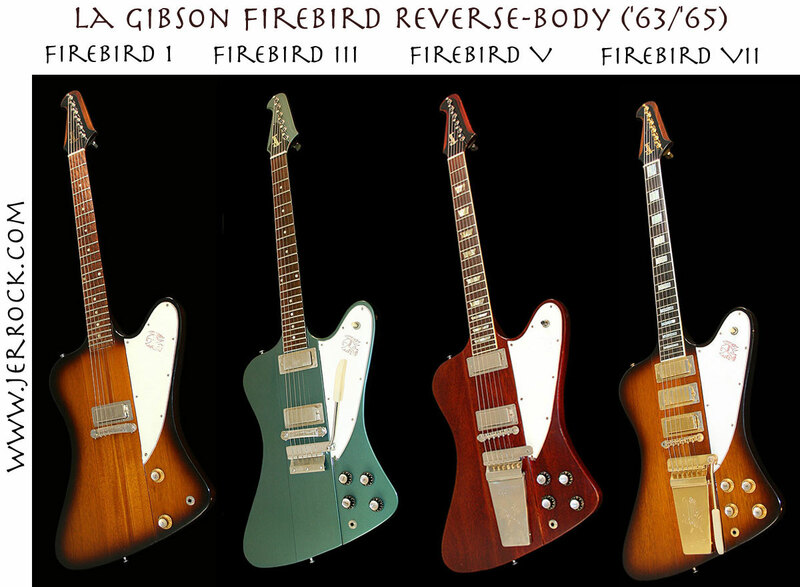 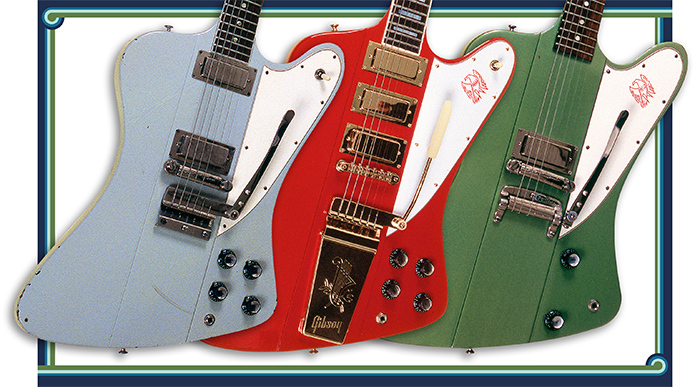 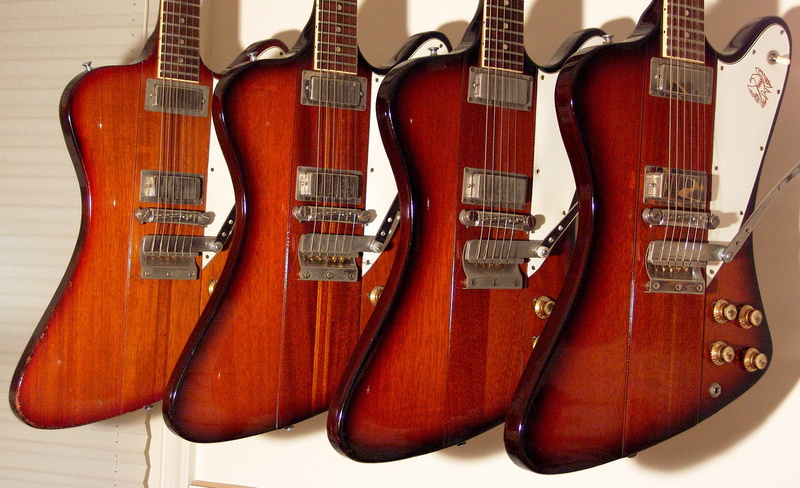 See below for the Premier Guitar article on these rare birds. 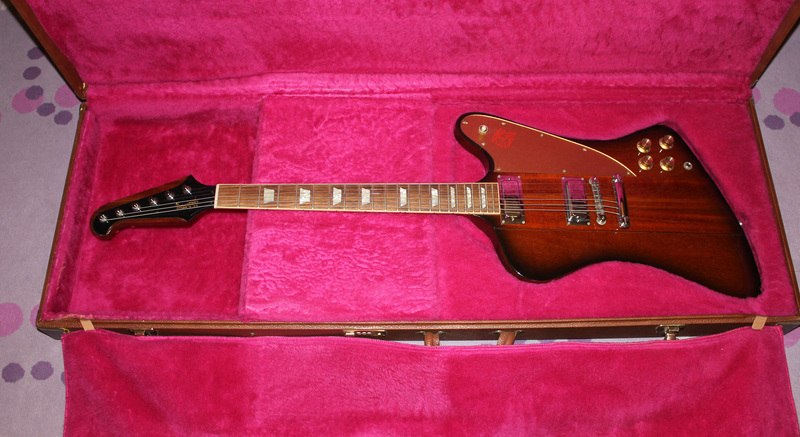 The guitar comes in an excellent condition "thick" 1963 - 1965 Gibson Firebird case, which is what Reverse Firebirds shipped in.